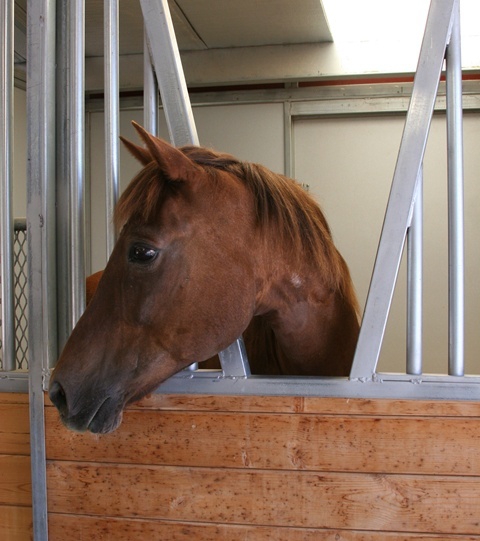 Ms. Pepe, a 24 year old Morgan mare arrived at The Lacey Foundation on August 12, 2011. The sweet girl has a broken pelvis and will need at least 6 months of stall rest and lots of love and attention to heal. Update: Ms. Pepe is now allowed out in the pasture and she has full access to all of The Lacey Foundation grounds.